Stanley Glover was born and raised on the south side of Chicago, Illinois. He began his dance training at Premiere one dance Academy under the direction of Adrienne Brazile. Stanley attended University of the Arts, in Philadelphia, where he graduated and received a BFA in May 2016. Stanley was a contestant and a part of the top 20 on FOX’s hit television show, So You Think You Can Dance Season 11. 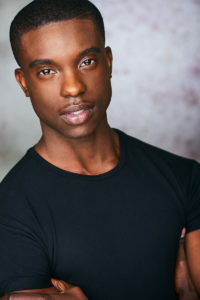 Stanley was able to perform repertoire and train under some of the best in the industry such as, Sonya Tayeh, Sidra Bell, Robert Battle, Dwight Rhoden, Tyce Diorio, Tommie-Waheed Evans, Gary Jeter, Roni Koresh, Wayne St. David, Tokyo, Random Dance, Hubbard Street, Pennsylvania Ballet and many more. After graduating Stanley performed 5 days a week in Cirque Du Soleil’s production of “Mystere” as a principal dancer. Stanley is now a company member at Philadelphia’s premier contemporary ballet company BalletX. Follow CVDA on Instagram & Facebook for more Faculty Announcements! Register for a Summer Intensive by May 15th and receive $10 off Registration!